Playing Pinocchio! 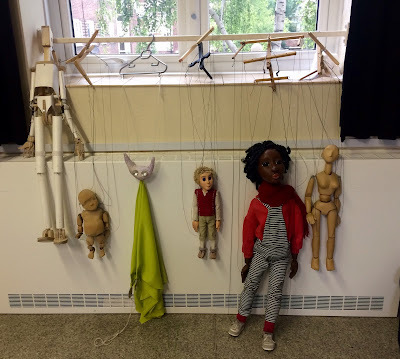 - Week Seven... by Suzanne KendallThis week Maud met Ronnie Le Drew! It was time to bin convention and let our imaginations out of the bag today. 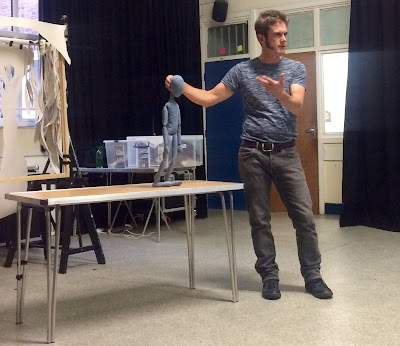 We re-visited some puppetry basics using - bin bags! 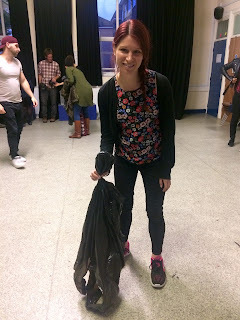 You may remember my mentioning an exercise involving bin bags in week one - designed to make us appreciate the potential for life in ordinary objects and to stimulate our imaginations - to see a bin bag as something unique; to look beyond its conventional usage. Today we lay our bags out on the floor and simply sat with them for a while. We watched them when they were still and lifeless. And then we witnessed them come to life when we touched them - we watched them respond - they crinkled and wrinkled and moved. We then made a little 'hood' out of the bags by pinching a portion of the bag between our fingers. We suddenly had something that resembled a little 'creature' to play with. Playing Pinocchio! 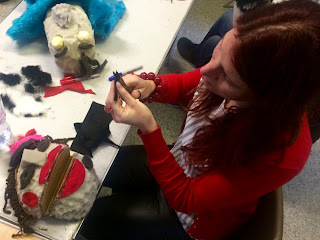 - Week Four... by Suzanne KendallMore muppet making today! It was hard to believe that 'Maud' could be improved upon - she was already a real beauty! 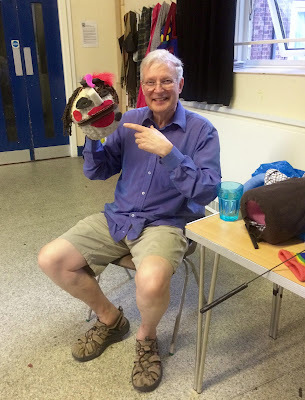 For a more thorough introduction to Maud, see last week's blog post... but once a bag of felt scraps was introduced to the room, opened and buried into, I began to get some ideas...!